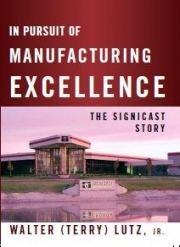 A book that will interest anyone wanting to read the autobiography of an entrepreneur, the history of Signicast Corporation, continuous flow manufacturing, automation, or the investment casting process. In Pursuit of Manufacturing Excellence � The Signicast Story tells how a small Midwestern job shop investment casting company was transformed into the largest commercial investment casting company in the United States. Hundreds of books offer theories on how to manage and control manufacturing operations to achieve manufacturing excellence. 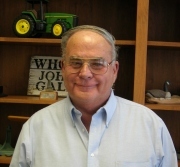 This book intertwines the company�s history with the vision of Terry Lutz and gives the real-life story of how an entrepreneur transformed a small job shop into the powerhouse of its industry. Light on theory and heavy on actual experiences, In Pursuit of Manufacturing Excellence � The Signicast Story gets down to the nitty gritty of manufacturing and fully discloses the detailed thought process required to get the job done.